Earlier this week we learned that Los Angeles Times architecture critic Christopher Hawthorne would be stepping down to take on the city’s newly-created role of Chief Design Officer. The move is a bold, encouraging one that should go a long way toward, as Hawthorne put it, “raising the quality of public architecture and urban design across the city—and the level of civic conversation about those subjects,” through his employment of oversight, advocacy, competitions, forums, and more. But it’s the second part of that statement, regarding civic conversation, that, regardless of this positive development, is under siege in the architecture world. Until Hawthorne is replaced — and given the turmoil at the L.A. Times that’s no certainty— our country will have still fewer regular architectural critics at its major metropolitan news outlets. You can count them on one hand in fact: Blair Kamin at the Chicago Tribune, John King at the San Francisco Chronicle, Mark Lamster at the Dallas Morning News, Julie Iovine at the Wall Street Journal, and Inga Saffron at the Philadelphia Inquirer. Beyond these dailies, while New York Magazine’s Justin Davidson and Curbed’s Alexandra Lange offer regular critiques, the New York Times’ critic Michael Kimmelman is M.I.A., the New Yorker has never replaced Paul Goldberger, and at The Boston Globe, The Miami Herald, The Nation, The San Jose Mercury News, and Vanity Fair, Robert Campbell, Alastair Gordon, Michael Sorkin, Alan Hess and Goldberger—all talented voices, as are all the people listed above— haven’t appeared for at least half a year. 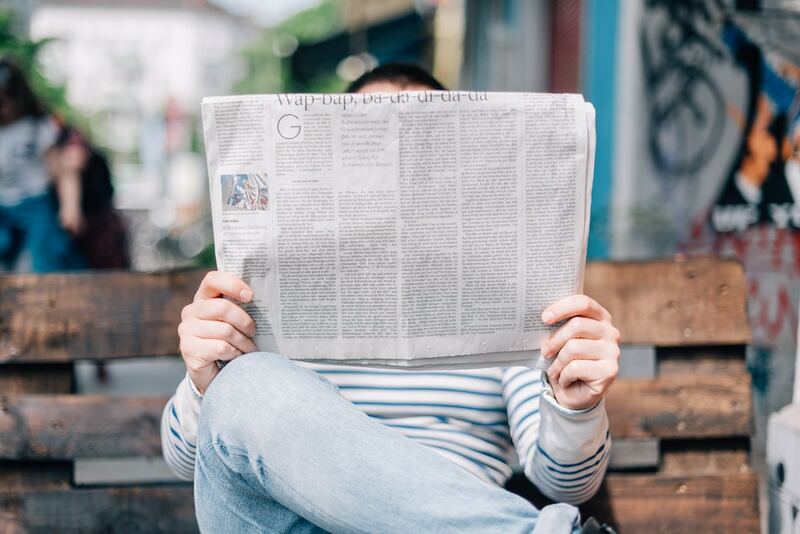 Papers like The Seattle Times, the Providence Journal, and the Washington Post never replaced their outgoing critics, USA Today has never had one, and half of the nation’s ten largest cities have no critic. It goes without saying that the L.A. Times absolutely must name a new full-time architecture critic, particularly at a time when the nation's second largest city is undergoing unprecedented transformation. Without a well-positioned critical voice, the city will lack a professional to alert them to and analyze these tumultuous built changes, or an advocate to critique decisions that, as they so often do in the developer-driven city, advance private interests over the public good. (Or, on the other end of the spectrum, marginalize design through discourse and work that most people can't relate to.) A critic can and must do much more, from awakening us to triumphs in sustainability and technology to suggesting ways to minimize sprawl or enhance public space. We don’t have to always agree with them, but he or she plays an essential role in instigating and informing a vital public discourse and to alerting us to the critical role design plays in our lives. The same goes for so many of the country’s cities, where nobody is minding the store, architecturally. The results speak for themselves: an overwhelming majority of architecture, both public and private, that’s ok, fine, serviceable. But not enough. It’s an architecture that, like most of our economy, excels for the very richest individuals, corporations and cultural institutions, but offers mediocrity to almost everyone else. Architecture should and must be for everyone, across the board, from housing to retail to schools to government buildings to civic parks. It must help propel our society, and our spirits, forward through inspiration and innovation, not just provide luxury, comfort, or status. Of course, architecture criticism isn’t limited to major commercial outlets. There are fantastic voices at many design periodicals, like this one. But critics at general interest publications still, even in this fractured media landscape, have the greatest ability to reach a wide audience, outside the bubbles of design or niche journalism, who are often preaching to the converted. While the news, sports, fashion, entertainment, and financial media promote and dissect the minutiae of their fields before millions, prompting debate, feedback, and change, the architecture and construction industry — a significant force in overall U.S. GDP—is largely on the fringe of the public conversation. (One example: If you watch March Madness this week, you’ll see more college basketball critics on one telecast than you’ll find countrywide speaking to architecture. Aline Saarinen was once NBC News’ full time architecture critic, but those days of elevated exposure are long gone.) Meanwhile, critics, as with so many players in the ailing journalism world, are increasingly being sidestepped for computerized engines like Rotten Tomatoes or for blogs that aggregate other work and churn out press releases. Or even worse, for abbreviated Facebook or Twitter posts. Algorithms and big data have their place in showing us where we are, but they can’t replace analysis, critique, understanding, common sense, and heart. Having Hawthorne— along with advocates like Deborah Weintraub at the L.A. Bureau of Engineering and Seleta Reynolds at the L.A. Department of Transportation— stationed at City Hall will be bring a keen eye and a valuable voice to the official conversation. But that conversation needs to extend to a much wider public, through experts outside the city payroll. As for his new job, Hawthorne must, as he suggests he will, make his work to improve the civic realm as public as possible, ensuring that design involves everyone, not just those in power. This is a fantastic opportunity for a gifted communicator to bring the public inside a generally opaque realm through his writing, speaking, and facility for public engagement. But he also needs a partner or two (preferably more) in the media, and as more chief design officers (hopefully) pop up around the country, so must they. Architecture is not art in a gallery. 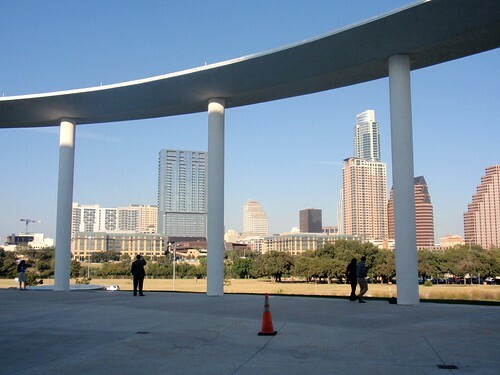 Along with landscape architecture and urban design, it is a public profession. It is for the public, not despite them. We need to empower more informed voices to keep it that way. 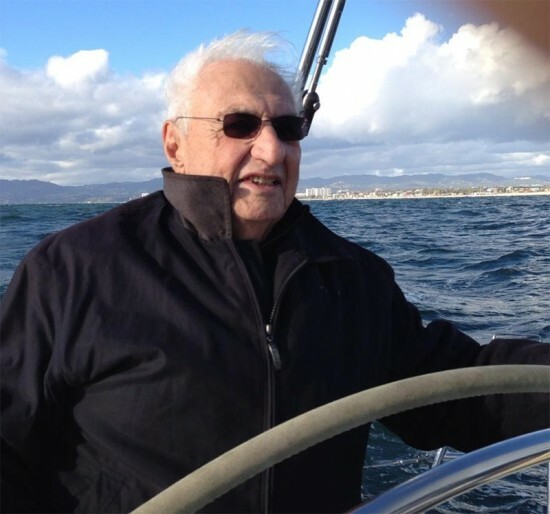 For his 87th birthday, avid boater Frank Gehry will be living the yacht life. 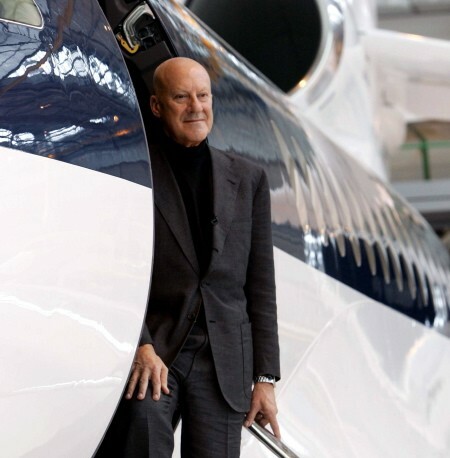 He will receive FOGGY 2.0, the 80-foot-long sailboat he designed for his friend, real estate investor Richard Cohen. https://twitter.com/paulgoldberger/status/288115396186353664 Though a longtime sailor, this is the first boat that Gehry has designed. In 2013, architecture critic Paul Goldberger was caught tweeting off the California coast aboard FOGGY, Gehry's Beneteau sloop. Goldberger, Gehry, and architect Greg Lynn were out for a Sunday sail of the coast of Los Angeles. FOGGY's name derives from Gehry's initials, F.O.G. (the "O" is for "Owen"). FOGGY 2.0 met water for the first time this past summer, off of Martha's Vineyard (see pictures of that voyage here). According to the New York Post, it sailed to Cuba, where its designer was honored by 150 architects. Foggy 2.0 will replace the sloop, which now docks in Marina del Rey. In addition to his weekend voyages, Gehry will use the yacht for sailing fundraisers to support Turnaround Arts, his education charity. 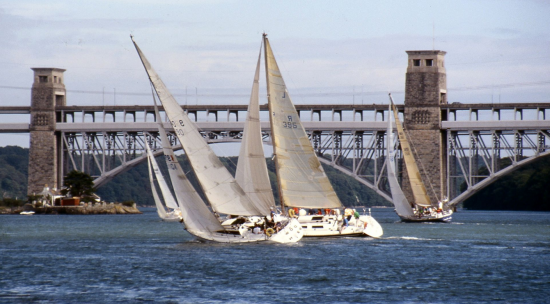 Gehry isn't the only architect fond of the seas. Greg Lynn designed and built his own carbon fiber racing boat (pictured under construction, below) that set sail January 2015. With the entire hubbub over the L.A. River non-master plan, Gehry Partner’s new designs for Sunset Boulevard, a medal from the Getty, and critic Paul Goldberger’s hagiographic biography it’s easy to forget that a major retrospective simply entitled Frank Gehry opens LACMA on September 13. The exhibition originated at the Centre Pompidou in Paris and was curated by Frédéric Migayrou and Aurélien Lemonier, LACMA curators Stephanie Barron and Lauren Bergman curated the Los Angeles installment, which is designed by Gehry Partners. The Resnick Pavilion will be filled with over 60 projects, illustrated with dozens of models and drawings, from the 1960s onward. Several projects will be on view for the first time, including Facebook’s new campus and the Philadelphia Museum of Art’s renovation. Touring the exhibition, the LA Times discovered a model of the Jazz Bakery, a non-profit music venue in search of a new home. Gehry’s pro-bono design for a site in Culver City includes 266-seat theater, a 60-seat black-box theater, and a West Coast jazz museum. 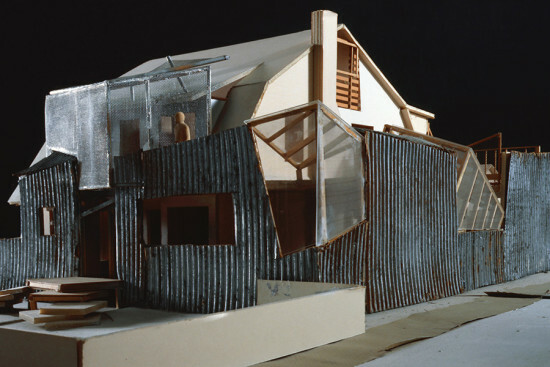 According to LACMA, the exhibition tracks two threads of Gehry’s career: urbanism and digital technology. While the latter suggests a straightforward trajectory leading to CATIA Digital Project and Gehry Technologies, the first is more impressionistic, focusing on the architect’s use of everyday materials and his sensitivity to context to “create heterogeneous urban landscapes.” With conceptual themes in the exhibition such as “Composition | Assemblage,” “Conflict | Tension,” and “Unity | Singularity,” don’t expect much urban planning in the gallery. Gehry will be in conversation with Goldberger at LACMA’s Bing Theater on Sunday, September 13 at 2:00p.m. The event is free to the public, but tickets are required. More info on LACMA's website. Cincinnati's 1938 Frederick and Harriet Rauh House by architect John Becker is a success story of preserving modern architecture. The house was nearly demolished for a McMansion several years ago, but the Cincinnati Preservation Association (CPA) initiated a restoration project in September 2011 and the revolutionary International Style abode is now complete after just over a year of renovation. 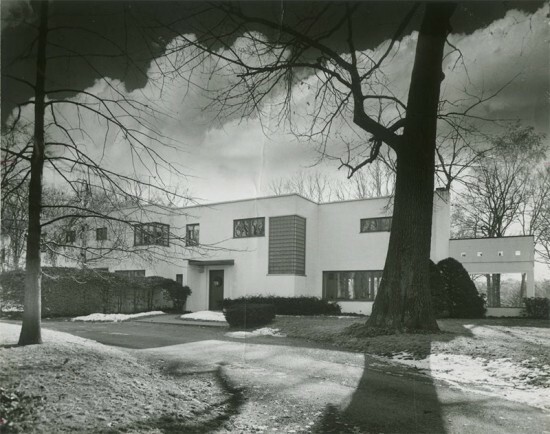 The CPA will celebrate the renewal of the Rauh House by hosting a two-day symposium, “Preserving Modern Architecture,” taking place on April 24 and 25. The first day of the symposium will focus on classifying the Modernist legacy and the forces that shape it while the second day will address conservation efforts by reviewing current preservation undertakings. The symposium examines case studies in Ohio and the Midwest, including discussions like, "What’s Worth Preserving? Identifying the Best of Midwestern Modern Architecture." 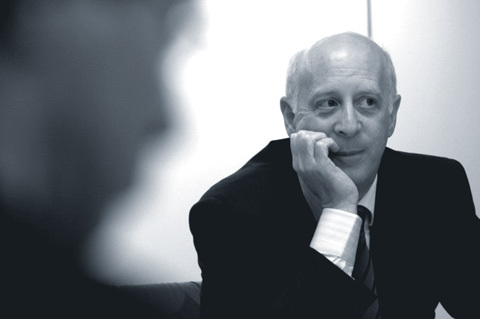 Architecture critic Paul Goldberger will deliver a keynote lecture on "Public Awareness of the Early Modern Architecture and Preservation Implications." In the wake of the demise of Chicago's Prentice Women's Hospital, Preserving modern architecture has become everyday dialogue in the architecture world, and other structures such as the Edward Durell Stone-designed Upper West Side school making way for a luxury tower and the Edo Belli-designed Cuneo Memorial Hospital in Chicago may not survive the threat of demolition. Some recent tweeting by Paul Goldberger revealed that the Vanity Fair contributing editor had set sail off the coast of L.A. with architects/ seamen Frank Gehry and Greg Lynn. Broadcasting from FOGGY, Gehry’s Beneteau First 44.7 fiberglass sailboat, Goldberger sent out a rakish pic of Gehry at the wheel. (The name “FOGGY,” in case you couldn’t guess, it based on F.O.G., the maestro’s initials; the “O” stands for “Owen”). We hope to hear more about the voyage in an upcoming VF article and that the story involves pirates and lost treasure. This year is the first ever Designers & Books Fair in Manhattan and The Architect’s Newspaper is giving away two Exhibition Floor Tickets to one lucky reader to attend the event. 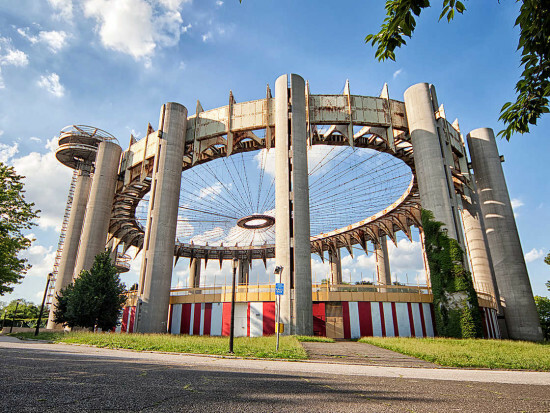 The fair, presented by the Designers & Books website that reveals architects' favorite reads, runs from Friday, October 26 to 28 at the Fashion Institute of Technology in Manhattan. 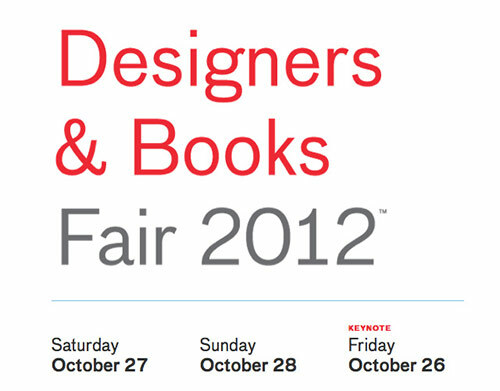 The event will exhibit leading design book publishers and sellers from the United States and Europe along with discussions, interviews, and presentations from an international panel of designers including Todd Oldham, Hal Rubenstein, Michael Bierut, Steven Heller, Paul Goldberger, Tod Williams and Billy Tsien among others. There will also be rare and out-of-print book dealers, with up to 40 percent discounts, book signings, and demonstrations on calligraphy, letterpress printing, and bookbinding. To win a ticket, post a comment below with the title of your favorite architecture or design book. We'll choose a random winner Thursday at 1:00p.m. EST. For more information about the fair, the schedule, and to purchase exhibition floor or panel tickets, visit the Designers & Books’ website.